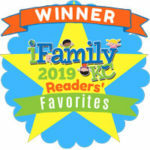 Nannies of Kansas City – For more than 30 years Nannies of Kansas City has been providing families throughout the Midwest with the finest childcare professionals available. For 36 years Nannies of Kansas City has been providing families throughout the Midwest with the finest childcare professionals available. Our reputation is unmatched and our credentials impeccable. We use a very detailed process to recruit and place our caregivers. Only after a candidate has successfully completed an extensive screening and background check are they eligible to interview with our families. Our full-time staff offers families a very personal experience by presenting only qualified candidates who have a passion for childcare and will provide the security and love you expect. We have placed thousands of full-time and part-time nannies. We also specialize in babysitters for families, groups and sick children, along with newborn and after school care providers. Nannies of Kansas City professionals are found in private homes, churches, synagogues, hotels, and corporate facilities. Our commitment is strong and unwavering. We are a service company. Each and every family we serve is valued as part of what we are today and what we will be tomorrow. Each of our families and caregivers receive the most professional, courteous service possible with unquestionable honesty, fairness and respect. Families, click below to begin your registration.